The NHS is set to get a major technological overhaul very soon, according to new government plans. Health and Social Care Secretary Matt Hancock has launched his vision of tech-friendly healthcare, including new NHS technology that will allow access to real-time data, allow systems to communicate between themselves, stay secure and easily upgraded on a continuous basis. Those will be the underlying standards of the new NHS technology, and those systems that do not meet these standards will be phased out. “The tech revolution is coming to the NHS. 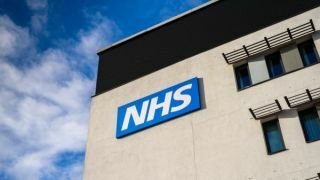 These robust standards will ensure that every part of the NHS can use the best technology to improve patient safety, reduce delays and speed up appointments”, Hancock said. The initial tech vision was launched alongside the NHS Digital technology standards framework. The standards will formalise how IT systems talk between themselves, and how digital services can expand beyond organizational boundaries. The government is currently in consultation with tech experts and suppliers to ensure the standards are the best choices for users.